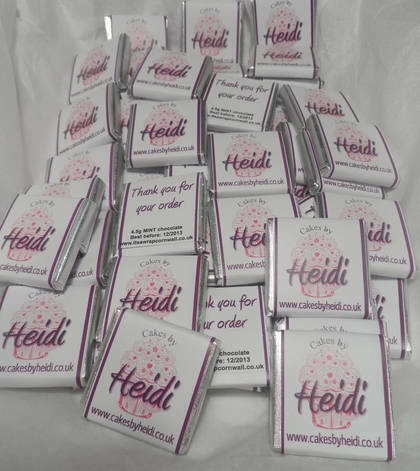 Mini square chocolate bars with your own personalised branded wrapper. 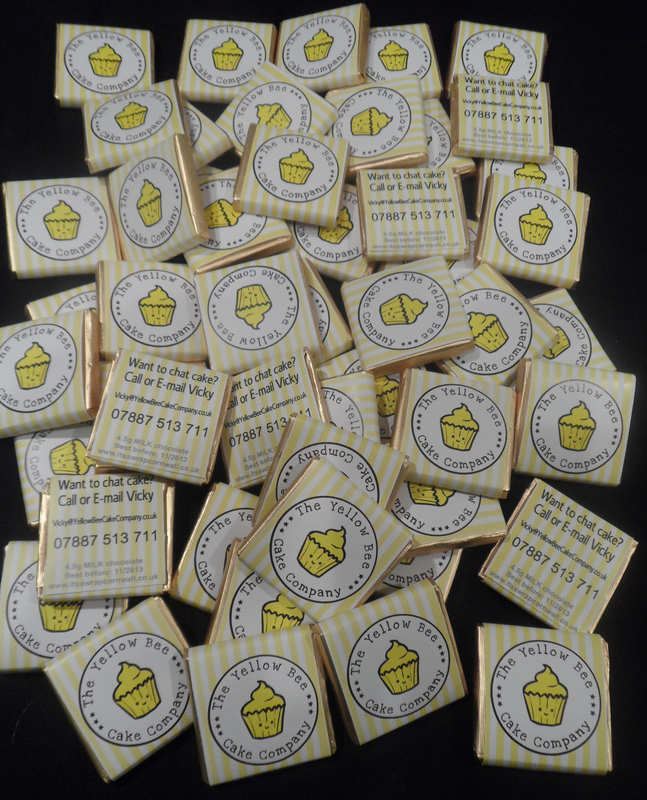 We can add your business logo or photograph to the front of these wrappers and on the back we can print your contact info or a short message. 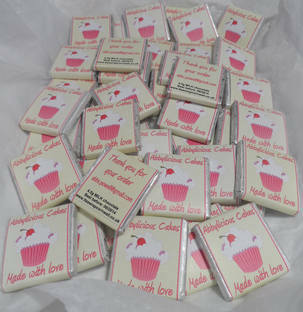 Perfect to use as edible business cards or thank you for your customers. 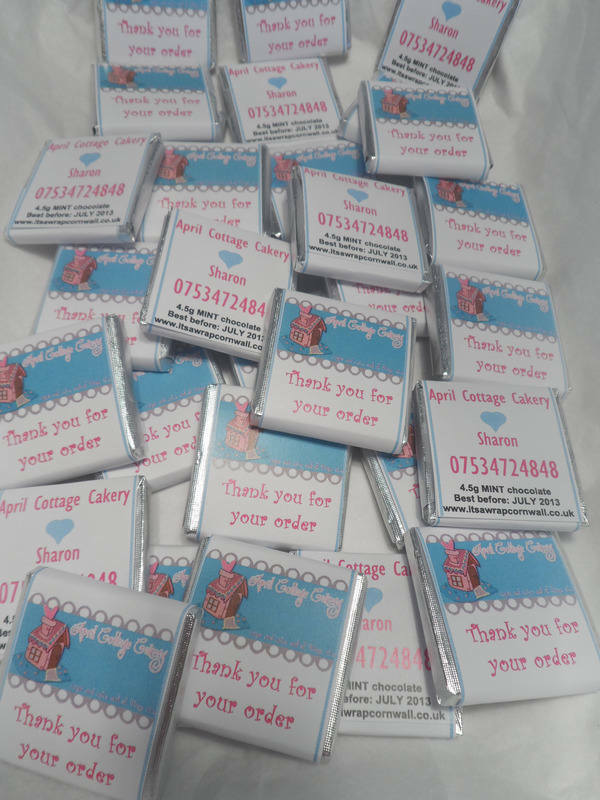 SIZE OF CHOCS: 3.5cm squared. PLEASE NOTE THESE PRICES DO NOT INCLUDE POSTAGE/DELIVERY. THIS IS CALCULATED BASED ON THE NUMBER OF BARS REQUIRED. 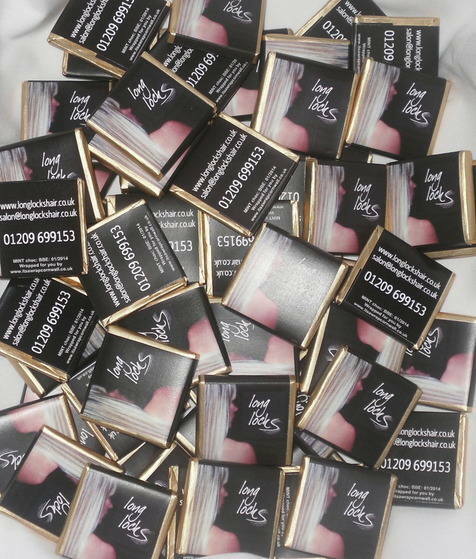 Please contact us for a no-obligation sample?quote (Live chat available or e-mail info@itsawrapcornwall.co.uk. You are also welcome to telephone/text 07727 630552. 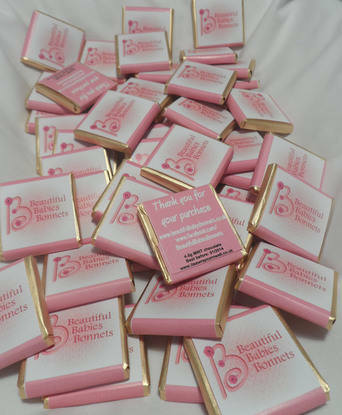 A FREE sample can also be ordered by clicking on the link below.